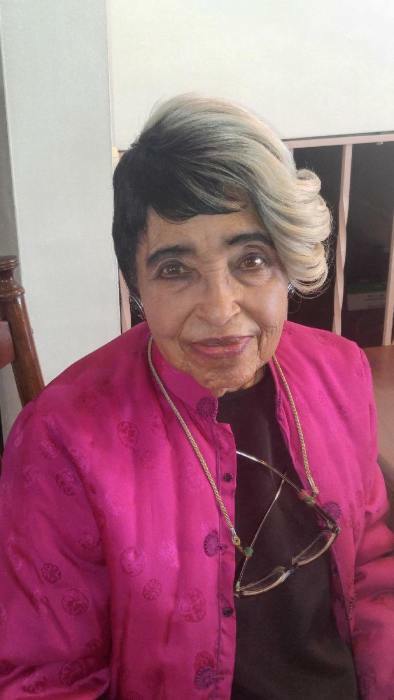 Obituary for Bonnie Rae Capers | Carter Funeral Homes, Inc.
Bonnie Rae Capers, 79 of Elyria, passed away on Wednesday, November 7, 2018 at University Hospital – Elyria Medical Center after a long illness. The memorial service will be held Saturday, November 17, 2018 at 11 am at Impact International Ministries of Ohio located at 630 Nelson Street in Elyria. Pastor Tommie Harris of Impact International Ministries of Ohio will be officiating. Cremation arrangements are being handled by Carter Funeral Home. Bonnie Rae Capers was born in Charleston, West Virginia on March 14, 1939. Her early education was in the public schools of Charleston, West Virginia. Bonnie was married to John Wesley Capers on August 20, 1981; they were married 37 years. Bonnie later began a career as a Home Health Care Aide and continued to find fulfillment in helping others for many years. She was an avid gardener, a gourmet chef, and talented artist. She was also a member of Second Baptist Church of Elyria. Bonnie leaves to cherish her memory her husband, John Wesley Capers, her sons James Pope, of North Carolina and Jonathan Pope, of Elyria, sisters Deloris A. (Herbert) Harris, Saundra R. Gage, Pamela J. Crumpton, stepchildren Henry G. Pope, Lawrence Pope, Sandra Pope, Jackie Pope, Cheryl Pope, grandchildren Jalen Pope, Jhamal Pope, Na’Yani Pope, nephew Maurice Gage and favorite nieces Bonnie R. Fauntleroy, Nicole (Ira) Williams, Shanda D. Gage, LaKesha M. Gage, Eleasha Sledge, Vanessa Crumpton, Allura White, and a host of other family and friends. Bonnie is preceded in death by her parents Robert and Susan Catherine Godfrey, grandparents Robert and Katherine Covington, and stepsons Wesley Capers and Leroy Pope. The family of Bonnie Capers wishes to thank Carter Funeral Home, University Hospital Elyria Staff, Life Care of Elyria and all of those who have sent prayers and kind words.